Now this came as quite the shocker today, not necessarily because Anne Sweeney would be leaving her post at some point, but because of the reason that was cited! Today, Variety learned that ABC Television Chief Anne Sweeney will be exiting her position come January to pursue her new career path as a director! Some speculate the move allows for a graceful exit for the executive, who has been with Disney since 1996, rising through the ranks from running Disney Channel to TV chief in 2004. Sweeney currently oversees all Disney TV (other than ESPN), so just how things will shake out with her departure will be interesting to follow. She is currently co-chair of Disney Media Networks and president of Disney/ABC Television Group, in charge of ABC, ABC Family, Disney Channel, Disney Junior and ABC News. And as soap fans know, Brian Frons reported to Anne Sweeney when he was in charge of ABC Daytime! So, what do you think about Anne leaving Disney/ABC to pursue a career in directing? Weigh-in below! It’s always good to go pursue a dream! Good for her! Not sure how I feel about this. She was in charge of Frons–but she also fired him. I hope her replacement brings back OLTL and AMC and makes ABC the dominate soap channel once again! If Anne Sweeney and Brian Frons had left years ago we’d most likely still have AMC and OLTL, or at the least one of them.. It was Her and Frons who killed them .. I also got my wish, thank god one life to live and all my children got cancelled. 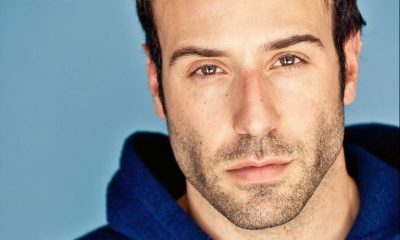 cbs soaps and general are the best soaps right now. days of our lives is great too. I am in total agreement with you. Another beast bites the dust! I am very sorry that AMC and OLTL were cancelled. They were my favorites but the others on CBS and NBC are good as well. I just wish they would bring the shows back with the original characters but I doubt that will ever happen. I have boycotted ABC programming since the cancellations with the exception of GH. Ok The Witch & the Warlock gone, but wish it had been before they disregarded what their fans wanted. Abc will cancel general hospital next year, I still don’t trust abc. They will replace gh, with a new talk show. Abc wants out of the soap business. This woman was a wrecking ball to the soap genre and gave Frons the original order to axe GH, AMC, and OLTL. And we all know what has happened since then. I echo su0000 in saying “Good riddance”. When she exits out of her comfy, cozy executive office I hope the door smacks her in the a** on the way out. What’s there to direct – reality tv? “Creative arena” doesn’t exist anymore. What a wonderful piece of news!!!!!!!!!!!!!!!!!!!! First that hateful scum BF and now her. I sincerely hope the local affiliates and stockholders keep raising hell about the loss of revenue until all the top brass of the alphabet network and the mouse company are gone. They have shown no respect for their loyal viewers and no respect for their employees. Why is she sticking around until January? She can go now. Good riddance!!!!!!!!!! Unfortunately, her departure is several years too late for OLTL and AMC fans. She championed their cancellation and welcomed the ultra-expensive Katie talk show! We all know how well that went. Maybe this is part of the fallout from that huge blunder – only insiders know the real reason for her departure. It would be the height of irony if the only show willing to teach her the ropes about directing was a soap. LOL. But seriously, as a woman in corporate America there is still a glass ceiling that many cannot crack. If a man had been in her position he would have been offered the CEO job in a heartbeat. I don’t blame her for leaving after an insult like that, if she wants to spin it as a chance to pursue her “dream” well I don’t begrudge her that, but in reality I bet her decision to move on was more about being passed over for promotion than a burning desire to direct. I wish we were saying good bye to her and all of abc/disney and any other of there projects out there and there are many.. I still boycott the station for having no consideration for the viewers of 40+ yrs watching OLTL/AMC…. what do they have now that is not a soap and over 40 yr. going strong? I do not wish her or them well. Hey don’t let the door hit ya where the good Lord split ya.. Sounds like sour grapes to me. But what do I know I watch soaps. With any luck, the only directing she’ll be doing is telling Brian Frons what to do in their joint baked potato stand on the Santa Monica Pier. Doesn’t matter. The destruction has been done. I will always boycott ABC. Wish she left before she killed ago One Life and All My Kids. G’ riddance soap killer. Bu-bye! Don’t let the door hit you on the way out. could it be that abc is cleaning house so that they can start producing shows again that people are willing to watch? hint – continuous stories that appeal to viewers!!! or just repeat cancelled soaps – it would be a ratings boon! No tears for her leaving. She was never a friend of the soap genre, and just like Frons, she did a lot of damage to ABC daytime, and then leaves. Even with these 2 gone, I doubt ABC will ever bring our soaps back. ABC daytime has never recovered it`s ratings after canceling OLTL & AMC. 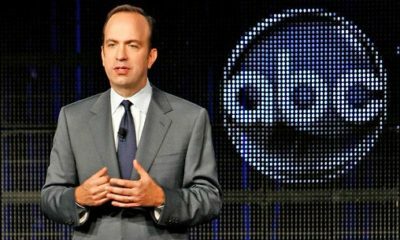 ABC News Boss Ben Sherwood Named Anne Sweeney's Successor As ABC Television Group President! 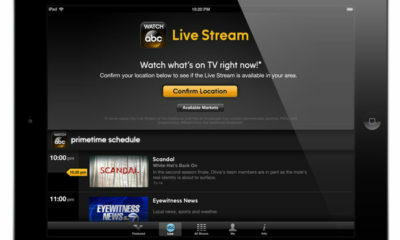 DISNEY/ABC Launching WATCH ABC App! 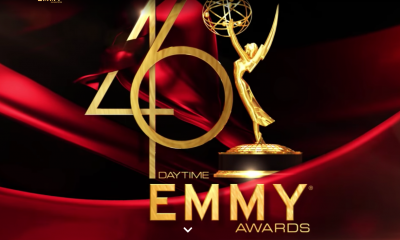 GH Fans Can Watch It Live In-Synch With Broadcast!